What do the Americans know about 15 passenger vans that Transport Canada doesn't? The Williamson County Tax Assessor/Collector’s Office is teaming up with the Texas Department of Motor Vehicles (TxDMV) and the National Highway Traffic Safety Administration (NHTSA) to urge owners and drivers of 15-passenger vans to take specific steps to keep occupants safe. To read the original article on line go to the Williamson County Texas website. Proper tire maintenance, load distribution and wearing seat belts are three of the most important safety tips. 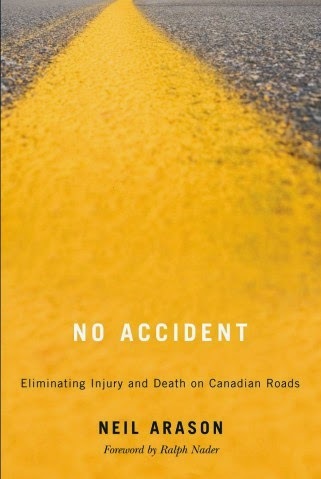 Driver education and training, and overall vehicle maintenance also are key to ensuring 15-passenger van safety. 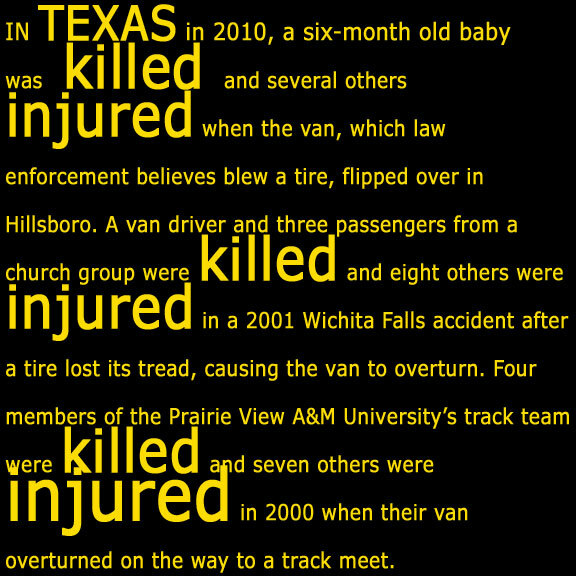 Accidents involving these vans have occurred in Texas. In 2010, a six-month old baby was killed and several others injured when the van, which law enforcement believes blew a tire, flipped over in Hillsboro. A van driver and three passengers from a church group were killed and eight others were injured in a 2001 Wichita Falls accident after a tire lost its tread, causing the van to overturn. 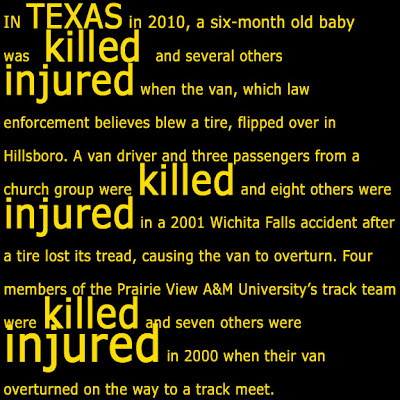 Four members of the Prairie View A&M University’s track team were killed and seven others were injured in 2000 when their van overturned on the way to a track meet. TxDMV and NHTSA warn that tire maintenance is paramount for preventing rollover crashes. Users of 15-passenger vans need to make sure the vehicles have appropriately sized tires that are properly inflated before every trip. The agencies also point out that tires degrade over time. For this reason TxDMV and NHTSA recommend that spare tires not be used as replacements for worn tires. In fact, many tire manufacturers recommend that tires older than 10 years not be used at all. This advisory is particularly directed toward faith groups, other non-profit organizations, and colleges that may be keeping older 15-passenger vans in service longer than usual because of tight transportation budgets. Pre-primary, primary and secondary schools should not use 15-passenger vans for transporting school children as they do not provide the same level of safety as school buses. It is also against federal law for schools to buy new 15-passenger vans for school transportation purposes. “You should also make sure the van’s Texas registration and inspection stickers are current,” Hunt noted. Here are some safety tips for anyone planning a trip in 15-passenger vans. Make sure the vehicle is properly maintained and has properlysized tires. Make sure drivers are fully trained and experienced in operating a 15-passenger van and are properly licensed. Never overload a 15-passenger vehicle. These vehicles are load sensitive and should not be overloaded under any circumstances. NHTSA research shows overloading not only increases rollover risk, but makes the vehicle more unstable in any handling maneuvers. Before every trip, drivers should check the van’s tires for proper inflation, and make sure there are no signs of wear. Correct tire inflation pressure can be found in the owner’s manual. Passengers need to be sure to buckle up for every trip.